When I left Vietnam on November 28, 1969 I remember vividly the roar of us soldiers cheering as the wheels of our aircraft left the ground. We were going back to “The World” as we referred to the USA and our homes. More importantly, “I” was going home. And for 38 years, never did I consider the possibility of going back to Vietnam. After all, why would anybody want to make that journey again? It didn’t make sense to me. There were too many uncertain feelings and memories. What good could it possibly do to return? The following account answers some of those questions. A strange and wonderful series of events actually led me to become interested in joining The D.O.V.E. Fund Board of Trustees; which is a “whole ‘nother story” as my father used to say. His Pennsylvania Dutch heritage produced some strange terminologies, like “sozzle my socks” which to him meant hand-wash my socks, but I digress. Serving on the Board of D.O.V.E. is a rewarding experience, yet I was only able to grasp the value of our endeavors in Vietnam in an intellectual fashion if you will. Pouring over project proposals, financial charts, donor database entries and viewing pictures of a completed school we built or water tower project wasn’t really sinking in the way it could have and needed to. 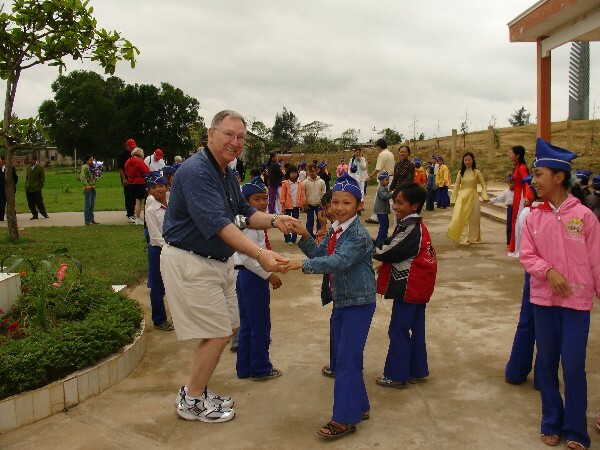 Not until, that is, my wife Gail and I were handing out some goodies to elementary school students in Vietnam this past March of 2007. We were standing in the midst of proud, appreciative and cheerful students, teachers, parents and local officials during a project dedication ceremony. At this point I was finally able to be touched where it counts. Yes, the heart. I was beginning to see the bigger picture and answer some of my questions. Here I am dancing with the children. Fred Grimm, our Chairman, had been telling me for several months that my return trip would be healing, fun and most important of all, I would be well supported (emotionally, if needed) by the accompanying DOVE Vietnam Veterans who had made their return trip before me. I know Fred doesn’t smoke, but I suspected he was on “something”. Since he was traveling with us I watched him quite carefully and I found out that he “was” on something…the emotional high from his 6 return trips to visit with the people, provide improved conditions and offer hope for a bright and peaceful future. 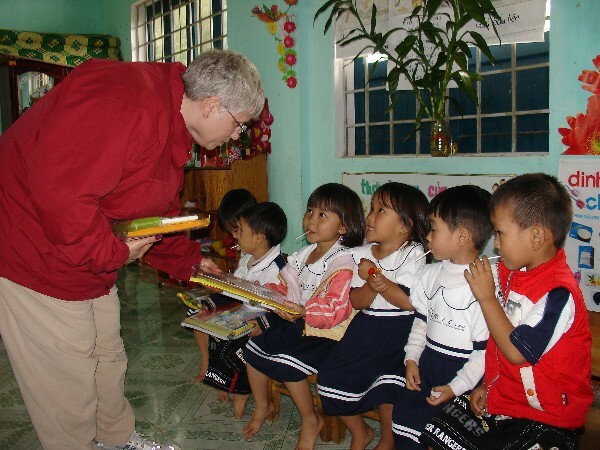 Here, Gail is handing out goodies to the children. There were two very meaningful segments of the trip that follow. During our military training the Drill Instructors would frequently remind us that as we’d be fighting the war, “Jody” would take our girls and our cars. There was some truth to this as “Dear John” letters ran rampant. Though most took these letters in stride, I knew of one man who took his life the night he received his “Dear John” letter from his wife. 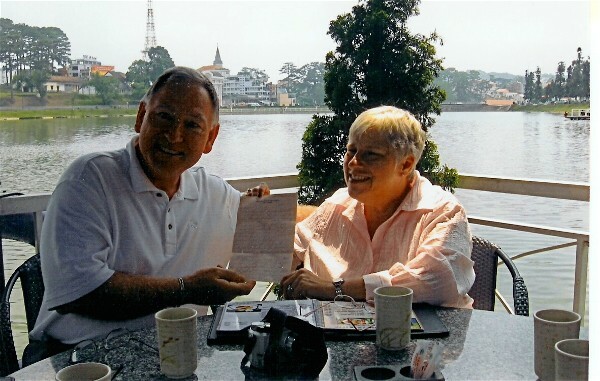 Thankfully, I received a letter from my college sweetheart, Gail, almost everyday in 1969 and they played a major part in helping me through my difficult year. I would read her letters, sometimes several times, answer them and stash them away for safe keeping. Just before my March trip I dug through my closet, carefully pulled them out of the old, plastic bag and read each of them again – even more carefully than before. There were tears, smiles, laughs and even a few sneezes from the 38 year old dust on the envelopes. As Gail watched me read them, she asked, “Why did you save those and why are you re-reading them?” I looked up only for an instant, smiled, and continued reading. I don’t think she understood the significance of her letters. Dalat is a city nestled high in the mountains of Central Highlands Vietnam. It is Vietnam’s own little Paris, better known as the City of Love. As D.O.V.E. ambassadors, we were there to investigate a proposed project site for a new school. That afternoon we had the opportunity to enjoy lunch overlooking a beautiful lake at the foot of town. I took that moment to share with Gail the last letter she had written to me in 1969, mentioning specifically how they and this moment were so significant. 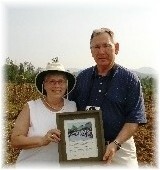 Luckily, our companions were quick to digitally capture the moment as I managed to smile only a few seconds until the reality of it all hit me, that each of our Vietnam experiences, mine fighting the war and hers at home waiting for me, were tied together and finally shared in the land that once kept us apart. This is Gail and I with the last letter she wrote to me in 1969. 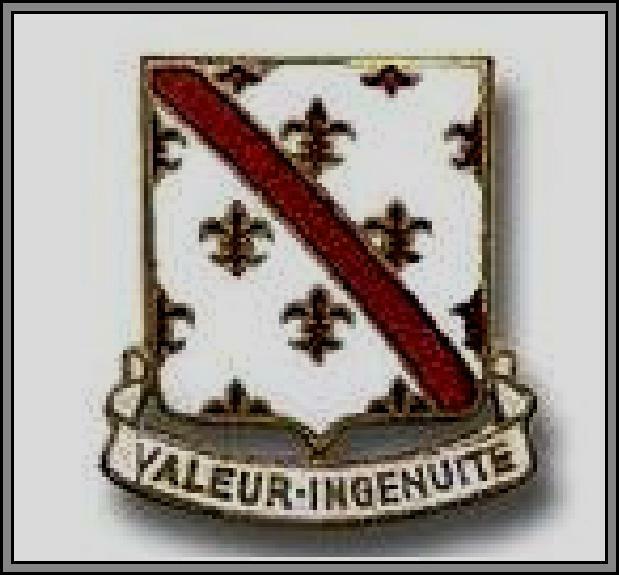 I was assigned to A Co., 70th Combat Engineer Battalion and our base camp, Reil-Davis, was located in a very rural area near the village of Khanh Duong, some 40 miles northwest of the coastal city of Nha Trang. Soldiers Reil and Davis were killed by mortar fire just months before I arrived in country and our camp was named in their honor. On October 4, 1969 we lost three more men; George Davenport Jr., Wayne Elkins Sr., and William McLaughlin. This loss impacted me more than anything during the war. This might have been partially due to the fact that this tragedy occurred on both Gail’s and George’s 21st birthdays. All three men were in my platoon and two were in my squad. Being their squad leader I have carried survivor guilt for a long time even though I was assigned away from the danger at the last moment by my superior. Why them and not me? Could I have done something to have avoided this tragedy? I’ve since resolved that the event was a Divine intervention by God and, I still needed to know that their untimely death was not in vain. I visited the Vietnam War Memorial in Washington, DC for the first time in 2006 as a board member of the D.O.V.E. Fund. We were there to spread the message of our mission and to participate in the Laying of the Wreath ceremony on Memorial Day. That very meaningful experience gave me the resolve to make a memorial plaque for George, Wayne and William to be ceremonially placed on the former Reil-Davis grounds during my return trip. Back in Vietnam, outside the village of Khanh Duong, a distinctly contoured mountain range allowed us to find my former camp site. Now small plots of cultivated farmland, it was satisfying to see that land once used for war is now being used for productive purposes. Through our friend and interpreter, Do Nguyen, we stated our purpose to the farmer and asked permission to cross his land to place our memorial plaque. He approved of our mission and we began our trek through his field, a few rice paddies and on to a small rise until we reached a grassy area near a lone tree. This was the area where my wife Gail and I placed the memorial plaque and paused for a few appropriate words. The story of the plaque can be found in the Memorial Room on this web site. There is no way to make up for this devastating loss of life, yet Gail and I wanted to do something to create a positive from this tragedy. As a tribute to George, Wayne and William and to their families, we decided to raise funds to build a Junior High School in their memory for 338 needy students near the area where we served. This region is very poor and the classrooms the junior high students are currently using do not have adequate space, have no bathrooms, is in very bad disrepair and needs to be demolished. The teachers do not have an office other than the 2 rooms built of old wood and bamboo in which they live. By building this school, it is our hope that these and future students will obtain a good education, become productive citizens, and remember the gift of the school that was built by donations from caring people and go on to make a positive difference in the lives of others. There is so much more I’d like to say, but that’s a whole ‘nother story.